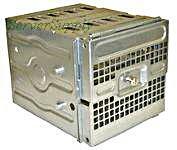 Intel - C52400-004 INTEL : HARD DRIVE HOT-PLUG CAGE - STORAGE ENCLOSURE 6 X 3.5INCH HOT-SWAPPABLE (C52400-004). NEW. IN STOCK. SHIP SAME DAY. Intel - AXX4FIXDB INTEL : STORAGE DRIVE CAGE - STORAGE ENCLOSURE 4 X 3.5INCH - 1/3H INTERNAL (AXX4FIXDB). NEW. IN STOCK. SHIP SAME DAY. Intel - AXX6SCSIDB INTEL - HARD DRIVE HOT PLUG CAGE - STORAGE ENCLOSURE 6 X 3.5INCH HOT-SWAPPABLE (AXX6SCSIDB). NEW. IN STOCK. SHIP SAME DAY. 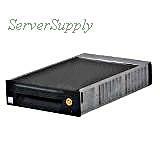 CRU - 8441-7139-0500 CRU - DATAPORT 10 CARRIER - STORAGE ENCLOSURE 1 X 3.5INCH - 1/3H INTERNAL BLACK (8441-7139-0500). NEW.IN STOCK.SHIP SAME DAY. 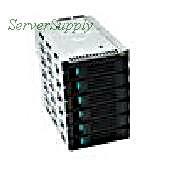 Intel - C53589-402 INTEL - HARD DRIVE HOT SWAP CAGE - STORAGE ENCLOSURE 4 X HOT SWAPPABLE (C53589-402). NEW. IN STOCK. SHIP SAME DAY. 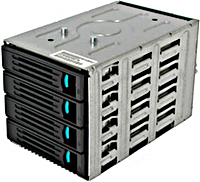 Intel - AXX4SCSIDB INTEL - HARD DRIVE HOT SWAP CAGE - STORAGE ENCLOSURE 4 X - HOT SWAPPABLE (AXX4SCSIDB). NEW. IN STOCK. SHIP SAME DAY.